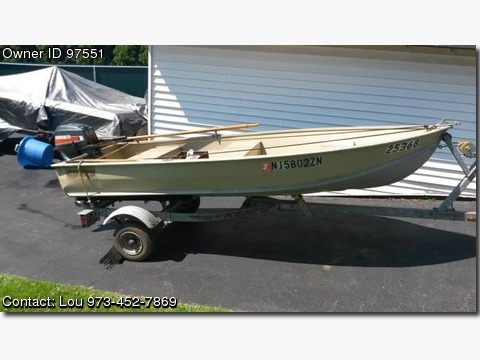 Please call boat owner Lou at 973-452-7869. For Sale 12&#39; Duranautic Aluminum Boat w/galvinized trailer and oars. Electric Minn Kota motor 28lb thrust. Marine Deep Cycle Battery. 15hp Mariner motor with 9.9 sticker.